¿Ya has conducido nuestro autobús? Recoge a todos los pasajeros que puedas y consigue fantásticos premios jugando con nosotros en Facebook. 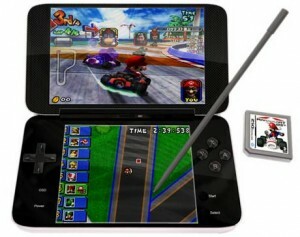 El primer clasificado se llevará un Nintendo DS 3D, el segundo un iPod Touch de 8 GB y el tercero un iPod Nano de 8 GB. 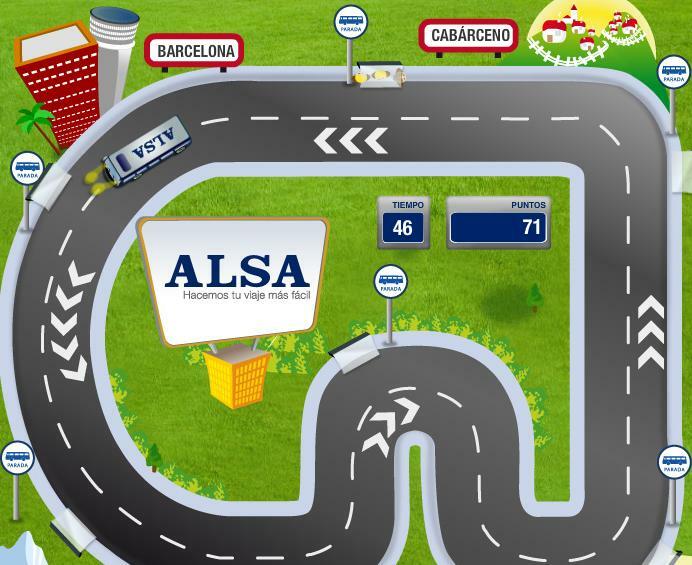 Los usuarios que queden entre el cuarto puesto y el décimo conseguirán billetes de ALSA para viajar. Además, todos los participantes entrarán en un sorteo de 10 entradas de cine y 10 cuentas Premium de Spotify. Diariamente revisamos todas las participaciones para garantizar la validez de los resultados. El intento por parte de un usuario de obtener mayor número de puntos de manera fraudulenta, independientemente del método empleado, anulará sus partidas y será descalificado. ¡No esperes más y juega con nosotros! Thanks , I have just been searching for info about this subject for a long time and yours is the best I have found out till now. But, what in regards to the bottom line? Are you sure concerning the source?|What i do not understood is in fact how you’re not actually a lot more well-favored than you might be right now. You’re so intelligent. You recognize therefore significantly when it comes to this subject, produced me in my view imagine it from a lot of numerous angles. Its like men and women aren’t fascinated until it’s something to accomplish with Lady gaga! Your individual stuffs outstanding. At all times take care of it up!|Normally I don’t read post on blogs, but I would like to say that this write-up very compelled me to take a look at and do so! Your writing style has been surprised me. Thanks, quite great article.|Hello my loved one! I want to say that this article is amazing, nice written and include approximately all vital infos. I’d like to look more posts like this .|obviously like your website but you need to take a look at the spelling on several of your posts. A number of them are rife with spelling problems and I find it very troublesome to inform the truth then again I will surely come again again.|Hello, Neat post. There’s a problem along with your web site in internet explorer, would check this… IE still is the marketplace leader and a big component of other folks will omit your excellent writing due to this problem.|I’ve learn several good stuff here. Definitely worth bookmarking for revisiting. I surprise how a lot attempt you place to make the sort of magnificent informative website.|Hiya very nice web site!! Guy .. Beautiful .. Superb .. I’ll bookmark your website and take the feeds additionally…I am glad to find so many helpful information right here in the post, we want work out extra strategies on this regard, thanks for sharing. . . . . .|It’s in reality a nice and useful piece of info. I’m satisfied that you just shared this useful information with us. Please keep us informed like this. Thanks for sharing.|fantastic points altogether, you just gained a new reader. What may you suggest in regards to your post that you just made some days in the past? Any sure?|Thanks for any other informative blog. Where else may I am getting that type of information written in such an ideal manner? I’ve a mission that I am simply now working on, and I have been on the glance out for such information.|Hi there, I found your website by the use of Google while looking for a comparable subject, your website got here up, it seems good. I have bookmarked it in my google bookmarks.